We’ve come far. We’ve toiled and created a world that no longer sees serious downsides to most things. This is applicable almost everywhere. Take mighty-diarrhoea-inducers McDonald’s and Burger King: they’re different in that they offer different types of burgers, but at the end of the day, you’re most likely going home with a groaning stomach. Here, the endgame is similar; it’s just a matter of how you get there. The point is that there’s no serious downside to eating at either; you’re going to go home and regret it either way. Shoddy as that parallel may have been, the point remains. 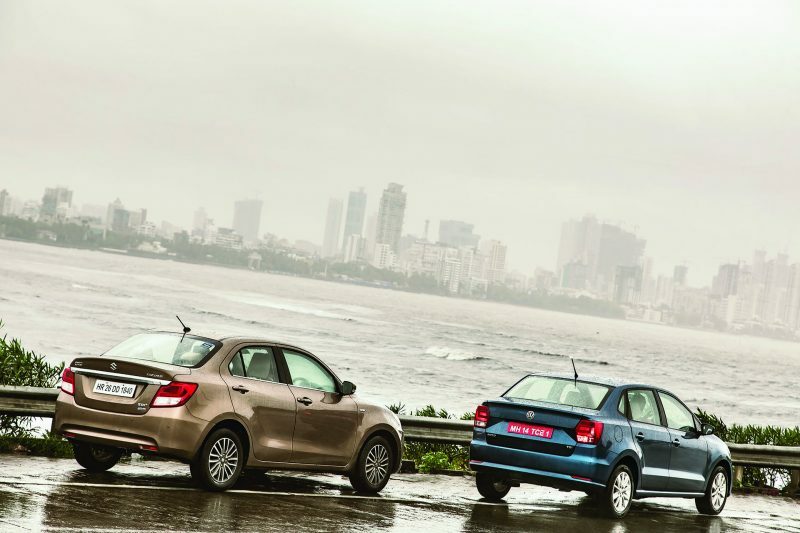 A better way to put that point across, I suppose, would be with the help of these two cars here: the Maruti Suzuki Dzire and the Volkswagen Ameo. I’d like to make it clear that this isn’t a regular comparison, in that there won’t be any full-blown analysis of ridiculous details of both cars like the quality of plastic used under the holder for the spare tyre. As such, there are two qualities to both these cars that I’d like to bring to the front, and I believe they need to be highlighted because they’re critical decisions that sometimes people gloss over after being overwhelmed by choice. Yep, this is some real consumer advice coming your way. In the blue corner, there’s the Ameo that’s here with a DSG gearbox. Now, it’s easy to see why I think the car needs to be here. First off, I like it quite a bit. 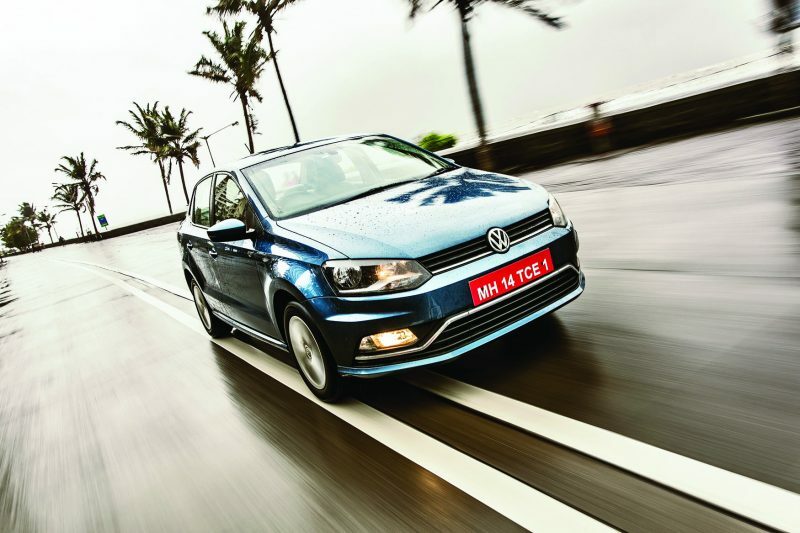 It’s like a slightly bigger Polo with the same dynamics and the phenomenal 7-speed DSG. The DSG ‘box is key here, because, well, it’s the focal point of the story. 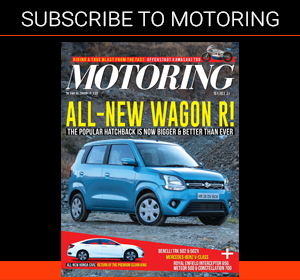 There’s a reason the Ameo’s a really fun car to drive. Of course the 1.5-litre diesel plays a big part with its 109 bhp and 25.4 kgm, but the way it transfers that power to the front wheels is where the magic comes in. 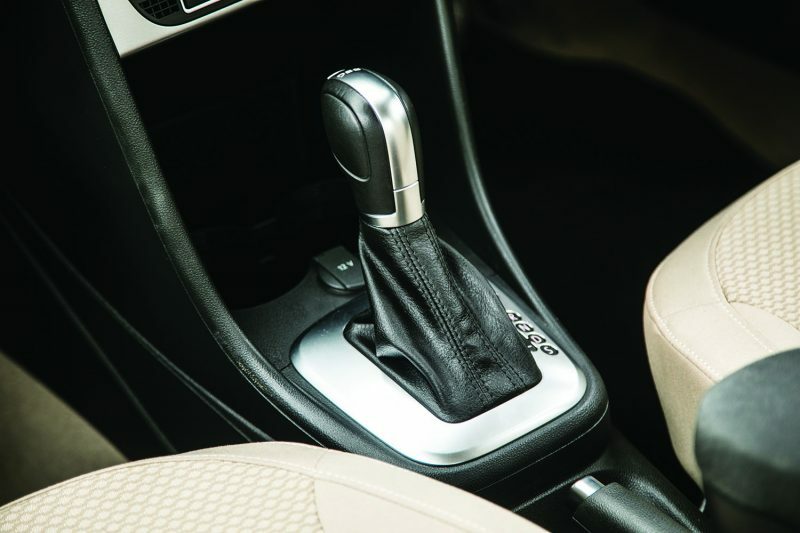 The 7-speed ‘box, especially when you flick it into manual and take control of the shifts yourself, is a work of art. Every upshift feels urgent and precise, and it happens not a moment later than when you’re expecting it. It’s hard to get auto ‘boxes to feel like that — well, it used to be at least. Evolution’s taken care of that, thankfully. It’s when you stop lamenting the loss of a manual that you realise that ‘boxes like the DSG in the Ameo are special. Possibly the only way it could be made better is if Volkswagen would have fit paddle shifters behind the steering wheel (preferably on the column instead of on the steering boss itself). Of course, these quick shifts are rather pointless if you’re trundling along in traffic, but even then it’s very heartening to know that it’s quick to drop a few gears if you need an urgent overtake. When you’re going flat out on the highway at, say, 80 kph (hey, there are speed cameras everywhere now, alright? 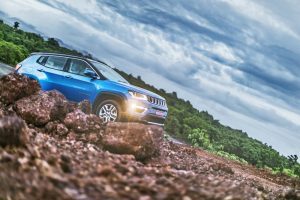 ), the gearbox really shines, though, and once you couple it with the car’s excellent dynamics, you can really justify the Ameo’s price tag. This situation, however, is something that comes along not often enough, sadly. Spend a few days with it and you almost get the feeling that it might be overkill, this gearbox. As if it’s a bit of a waste because you can’t possibly extract its potential 80 per cent of the time. This brings me to the second, and crucial, part of the story. The Dzire’s been looking on so far wondering what it’s doing here, but what it represents is an extremely important step in the right direction for the poorer cousin of the DSG — the automated manual transmission. 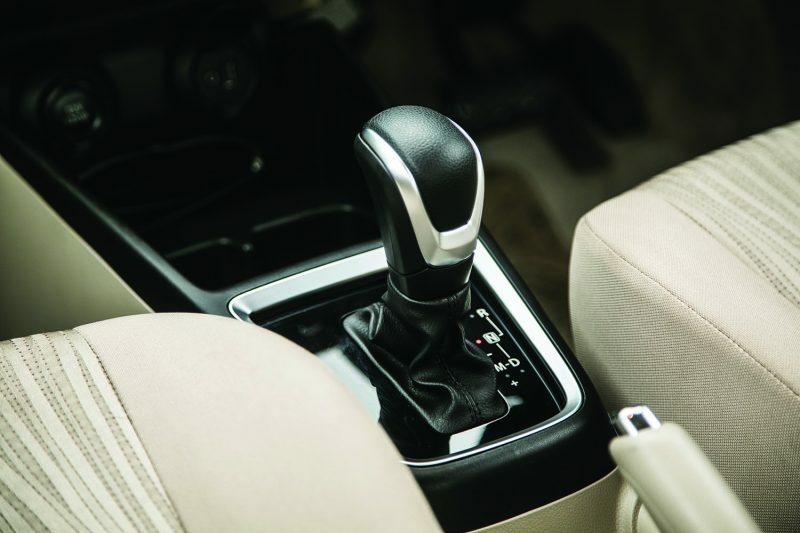 The manufacturers that equip their cars with an AMT all have their own names for it and, in this case, Maruti calls it the AGS (Auto Gear Shift). That’s not important, though. What is, is the fact that, in my opinion, this is probably the best AMT in India currently. 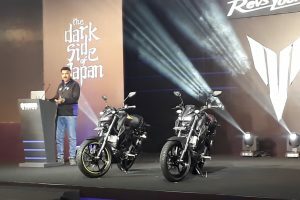 When the first AMT came around in India, interestingly enough in another Maruti (okay, my bad, that’s not interesting), in 2014, it was, to put it simply, s**t. It actually felt like there was a man crouching in the gearbox assembly, physically swapping cogs and yelling, ‘YES, YOU’RE GOOD TO GO!’ every time you attempted a gear change. The progress Maruti’s made in three years’ time is astonishing. It’s the difference between the cellular phones of the ‘80s and the life-controlling, soul-sucking devices we hold in our hands today. That rapid a rate of progress is astonishing considering the timeframe. 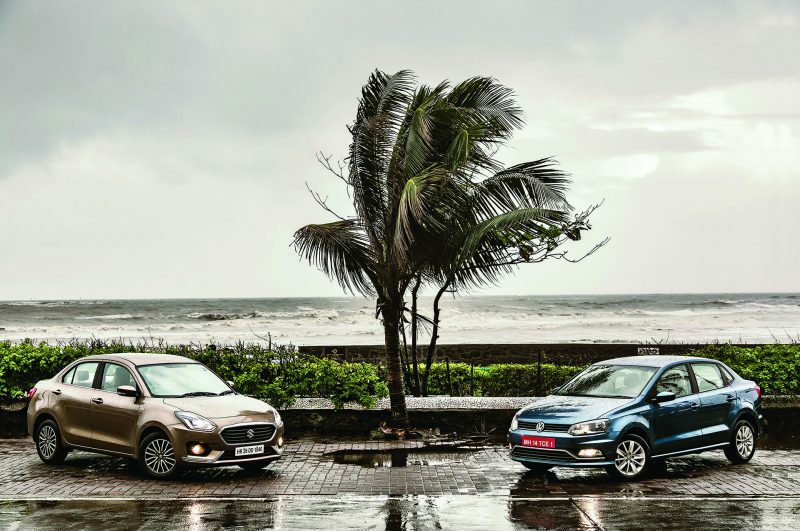 Drive the Dzire diesel in isolation, and it’s immediately apparent that there’s nothing wrong with the ‘box at all. The shifts are smooth when you’ve got the accelerator pressed only half the way, and when you cram it to the floor the Dzire takes half a second before it builds revs and shoots you ahead. Now, this is nowhere near the DSG’s speed, but it’s fast enough for you to not consider a manual or a regular torque converter, and that’s saying something. Things get even better when you decide to shift manually via the lever, and with a bit of planning, the Dzire can be a lot of fun to drive. It’s a smooth, decently quick gearbox that wouldn’t bother anyone, I’m certain. It may not be lightning quick like the DSG, but like I mentioned earlier that’s probably a requirement for only about 20 per cent of the time. How often are you planning on going street-racing anyway (plus, it’s stupid and illegal)? Now, the Dzire’s AMT, it must be said, is an excellent interpretation of just how good things can get for the automated manual. I’m sure things will get better for the AMT along the way, but for now, I’m certain that Maruti’s AMT is the best in the country. For the kind of use it will be put through, the Dzire makes complete sense. 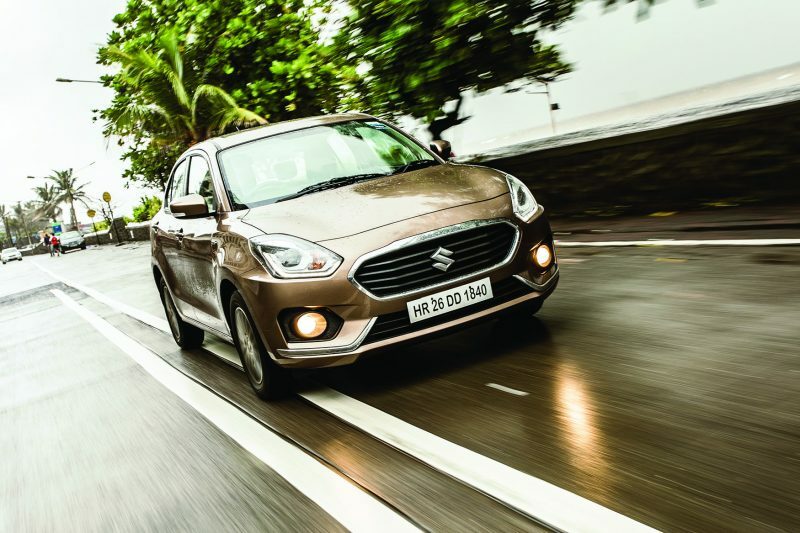 The DSG’s a tempting proposition, but the Dzire, with its superb overall package, slightly edges it here because of logic. This verdict may not go down well with some, but I think it’s worth thinking about if logic dictates your purchases. 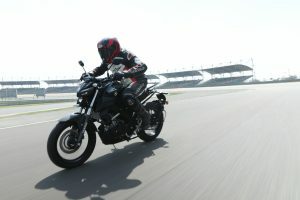 Unless, of course, you just wait it out until the next iteration of the AMT comes out and brings things even closer between a dual-clutch auto and an automated manual. And that would make this whole article seem a bit redundant, wouldn’t it? It would. Now there’s your real consumer advice.